Arabic is spoken in Afghanistan, Algeria, Bahrain, Cyprus, Lebanon, Egypt, Syria, Iran, Iraq, Western Sahara, Libya, Djibouti, Somalia, Saudi Arabia, United Arab Emirates, Qatar, Oman, Kenya, Yemen, Kuwait, Palestine, Israel, Senegal, Mali, Chad, Guniea, Niger, Sudan, Comoros, Jordan, Mauritania, Morocco, Tunisia, Tajikistan, Tanzania, Turkey, Uzbekistan and Eritrea. Many Muslims around the globe spread over 60 countries learn Arabic as an additional language in order to understand the Quran. Almost 452 million people speak the language in the world. In the meantime, please check out our list of resources that can get you started. 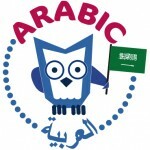 We cover the Arabic Alphabet, Links for online resources and websites, Useful Phrases with recordings of native speakers to help your pronunciation.